The X-Men movie franchise has had its ups and down since it began back in 2000. The first film (X-Men) was really good, the second film (X2: X-Men United) proved superior (probably so far in the series), while the third film (X-Men: The Last Stand) was ambitious with an interesting story, but ultimately wasn’t properly executed well. This is then followed by 2009’s X-Men Origins: Wolverine, a film showcasing the origins of the iconic mutant from the franchise, which was met with mostly negative criticism by viewers; leaving the future of the franchise in limbo. It wasn’t until 2011’s X-Men’s First Class came around and reinvigorated audiences with mutants, which was then followed by 2013’s The Wolverine; both films were met with mostly positive reviews, but still not better than the first two installments. 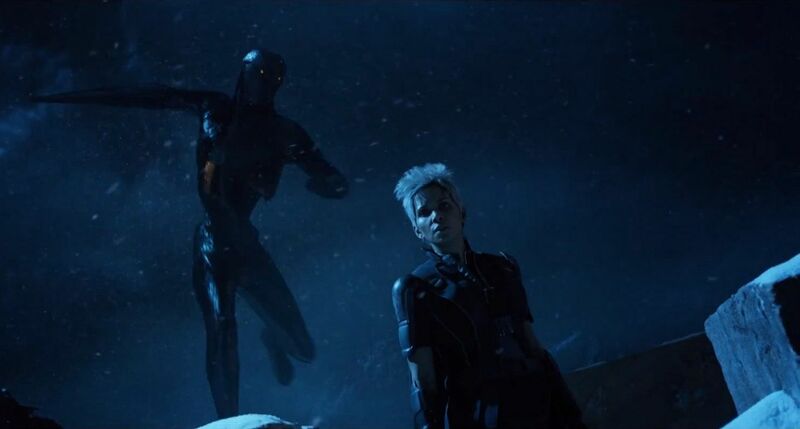 With the franchise back on its feet, the seventh X-Men film debuts this summer titled X-Men: Days of Future Past. Is this latest installment destined to become the best of its cinematic franchise or has the film’s blockbuster hype fail to deliver all that was promised? Set in the near future, mutants are being hunted and killed by giant robots called Sentinels, who have the ability to adapt to any mutant power they come across. Charles Xavier (Patrick Stewart), Magneto (Ian Mckellan) and a handful of other surviving mutants make a last ditch effort by sending someone back into the past to rewrite history and save the future; the candidate chosen for this mission is of course Wolverine (Hugh Jackman). Wolverine’s conscious is then sent back in time to 1973 to his younger body and begins his search for younger versions of a broken Xavier (James McAvoy) and imprisoned Magneto (Michael Fassbender), and Beast (Nicholas Hoult) in an attempt to stop a vengeful Mystique (Jennifer Lawrence) from triggering the rise of the Sentinels at the hands of Bolivar Trask (Peter Dinklage). Given the fact there’s so much to be workaround and a great emphasize on plot, which kind be a little confusing at times, Days of Future Past works brilliantly well. This is, of course, due to the fact that director Bryan Singer, who directed the first two X-Men movies, returns to helm the movie and brings his knowledge and understanding of all things mutant back to the silver screen. Singer seems to employ that cinematic flair that previous entries were missing; making a movie with a grand gesture of a summer blockbuster, but still retaining enough time for drama, tension, sympathy and humor to ground the feature from letting it runaway and being bombarded with superfluous characters and sub-plots. Singer also seems nod back to his two X-Men movies with a bleak reintroduction to mutants in the future and an opening dialogue done by Patrick Stewart, which is then followed by a mutant DNA main title sequence that’s accompanied by John Ottman’s X2: X-Men United rousing theme song; easing doubts that many had bringing back a sense of familiarity and anticipation for viewers. The action in the film is very engaging with well-done sequences from an opening battle with the future X-Men falling to the Sentinels, a tense stand-off shootout in Paris, and the final battle that takes place in Washington DC. This particular scene proves the best, in my opinion, showcasing a battle that takes place in 1973 and, at the same time, a last stand battle with the Sentinels in the future. Its marvelous and visual stunning third act; switching back and forth between the two and creates some of the best part of the Days of Future Past. In truth, Days of Future Past is a sequel to X-Men: First Class, which is what was intended from the film’s inception. The film focuses on the three primary characters from First Class with Xavier as a wayward broken individual, Magneto as a recent prisoner to the government for presumably shooting JFK, and Mystique on her own and driven by vengeance. All three leads (McAvoy, Fassbender, and Lawrence) are great in reprising their roles and continuing the development of their respective character. McAvoy and Fassbender share great on-screen time together. There interaction of a broken friendship and conflicting ideologies are still just as good as they were back in First Class and seem almost uncanny they are to their older character counterparts in Stewart and McKellan. Lawrence’s Mystique is again a central part of the narrative (More so than in First Class), exploiting her ruthless in fighting and in seduction as she edges closer to the persona of anti-hero from the original trilogy. Unfortunately, most of the supporting cast members from First Class did not return with the exception of Nicholas Hoult as Hank McCoy (Beast) and a brief appearance of Lucas Til as Alex Summers (Havok). While the film works the angle of being a follow-up to First Class, weaving through a hefty amount of exposition along the way, a handful of the older cast come back to reprise their mutant roles in a fashion that’s generally regulated to bookending the feature with a few scene in-between. Of course, the big star of the feature is Hugh Jackman, playing a pivotal role in film’s narrative as the time traveling Wolverine. Being the only actor to appear in all seven X-Men films, Jackman again lends his weight to the character with great ease and is in fine form with a perfect balance of humor, gravitas, and ferocity to Logan. Familiar faces from the original trilogy return including Patrick Stewart (Xavier), Ian McKellan (Magneto), Shawn Ashmore (Iceman), Daniel Cudmore (Colossus), Ellen Page (Shadow Cat), Anna Paquin (Rogue), Hallie Berry (Storm), and few surprises revealed towards the ending. Alongside them are new faces including Omar Sy (Bishop), Bingbing Fan (Blink), Adan Canto (Sunspot), Booboo Stewart (Warpath). It is slightly disappointing that you don’t spend much time with these characters (Both familiar and new), but again this is a sequel to First Class, not X-Men 4. And, who knows, maybe these characters can return and be fleshed out more in future installments. The biggest surprise in the movie is the appearance and introduction of the lightening fast Quicksilver played by Evan Peters. Though his part minor one, which is disappointing, Peters plays the part well with just enough brash and humor to the character; a demonstration of which plays out in a prison break sequence at the Pentagon. This scene (part of which is rendered in super slow-motion) is Quicksilver’s moment to shine in the movie and practically steal the show with his supersonic speed; offering a perfect balance visually and in humor. The biggest disappointment is in the character of Bolivar Trask, the scientist behind the creation of Sentinels, played by Peter Dinklage. Dinklage, well-known for playing the iconic Tyrion in HBO’s Game of Thrones, is an unimpressive villain in the film; playing the role with a sort of docile and mundane persona. Whether it’s a creative decision on his part or the screenwriters, the character is flat and underperforms in a movie that’s presumable the best of its franchise. Without giving the ending way, Days of Future Past breathes new life into the longevity X-Men movies with a sort return to basics formula for the franchise; a similar fashion that J.J. Abrams did back into 2009 for the Star Trek franchise with his film Star Trek. Lastly, as usual, stay after the ending credits for a glimpse of what they next installment will be in the X-Men universe. While it’s not as hard hitting as The Dark Knight or Captain America: The Winter Soldier, X-Men: Days of Future Past is a solid feature that delivers on recapturing the “Magic” from the first two entries; courtesy of Bryan Singer’s return to the project. An impressive story that unites the old cast from the original trilogy with the younger cast from X-Men: First Class; offering an action packed mutant adventure that’s the most rewarding, ambitious, and enticing of the franchise so far. With the next entry already in the works (X-Men: Apocalypse), the future of the X-Men movies has been firmly restored with numerous possibilities for sequels, prequels, and spin-offs. The sins of the past can be forgiven as a bright future lies ahead for this mutant cinematic saga. I loved it too especially for the new depth it gave Mystique. I think she’s my favorite female superhero character.